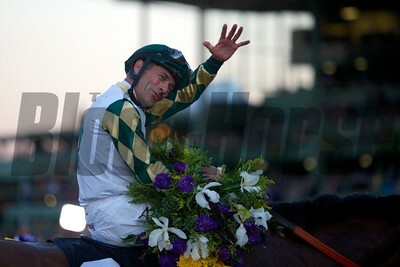 Gary Stevens celebrated winning the Breeders' Cup Classic (G. I) atop Mucho Macho Man. 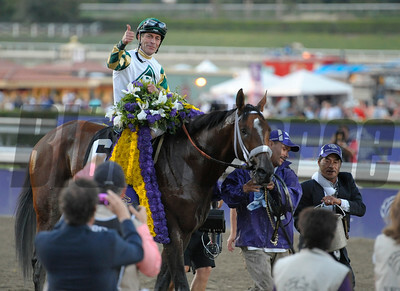 Photo by Crawford Ifland. 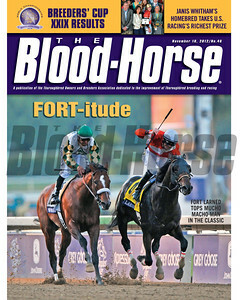 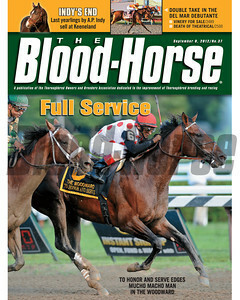 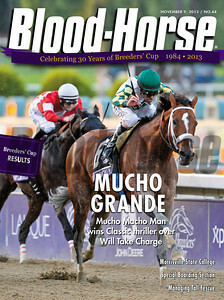 November 9, 2013 Issue 44 cover of The Blood-Horse featuring Mucho Macho Man winning the Breeders' Cup Classic at Santa Anita Park. 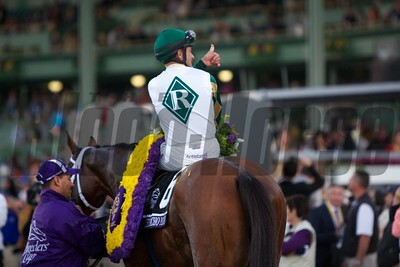 Mucho Macho Man and Gary Stevens before the Breeders' Cup Classic (G. I). 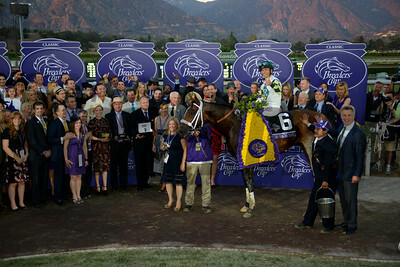 Photo by Crawford Ifland. 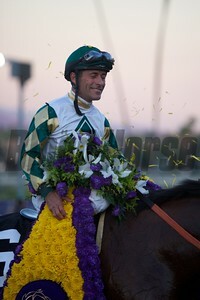 Gary Stevens was all smiles after winning the Breeders' Cup Classic (G. I) atop Mucho Macho Man. 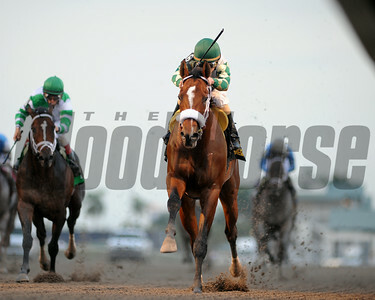 Photo by Crawford Ifland. The horses rounded the final turn in the Breeders' Cup Classic (G. I). 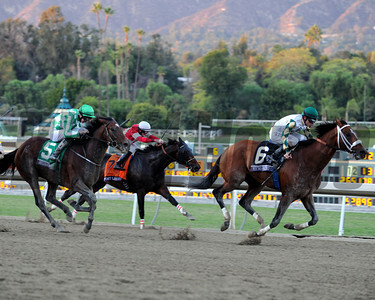 Mucho Macho Man (center, green cap and white blaze), with Gary Stevens up, won the race. 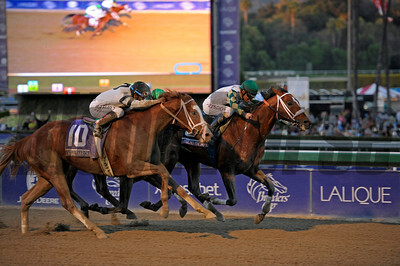 Photo by Crawford Ifland. 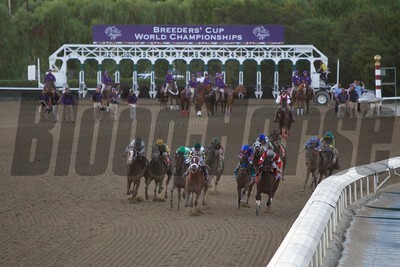 Mucho Macho Man (green cap, second from left), with Gary Stevens up, led the field down the stretch to win the Breeders' Cup Classic (G. I). 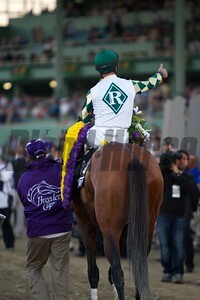 Photo by Crawford Ifland. 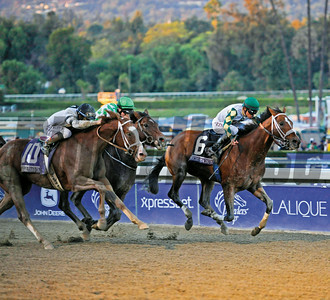 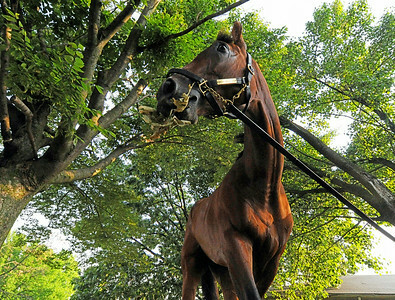 The horses came down the stretch for the first time in the Breeders' Cup Classic (G. I). 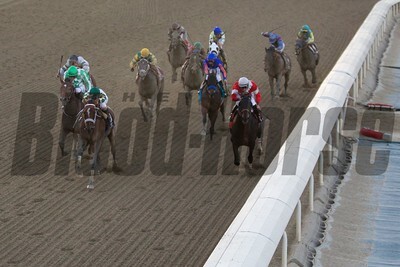 Mucho Macho Man (center, green cap) won the race. 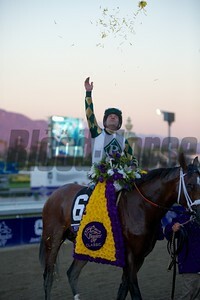 Photo by Crawford Ifland. 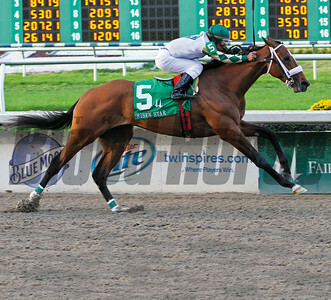 2-19-2011 Mucho Macho Man with Rajiv Maragh aboard easily wins the Grade II Risen Star Stakes at Fair Grounds in New Orleans, LA. 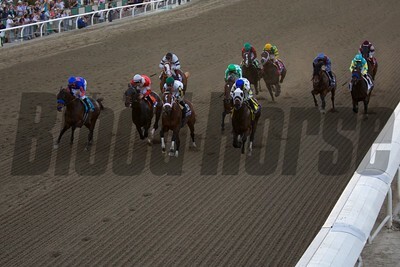 Photo by Lou Hodges, Jr. 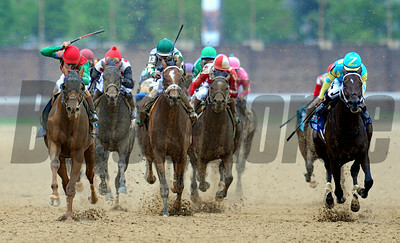 Team Valor's Animal Kingdom (red cap) John Velazquez up, wins the 137th Kentucky Derby. 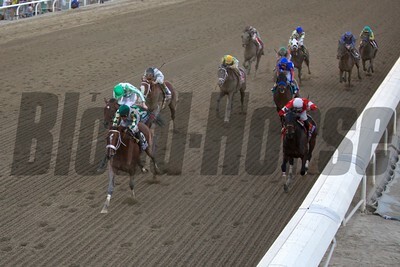 Nehro (far right) finished second and Mucho Macho Man (13) was third.